Emirates Airlines CEO Sheikh Ahmed said today he was not concerned about the remaining deliveries and specifications of the Boeing 737 Max jets to Flydubai, the biggest regional customer of that aircraft, following Indonesia’s Lion Air Max plane crash in October. The chairman said he was confident in the Boeing 737 Max jet when asked whether he had any concerns about the delivery schedule of orders and specifications of the re-engined single-aisle planes to Flydubai following the Lion Air plane crash. Last year, Dubai based Emirates Airline profit fell by more than 80% from the previous year to $340 million as it grappled with a slump in demand linked to a range of headwinds, from political upheaval and terrorism in Europe to tougher travel restrictions to the U.S. This year the profit recorded in may was up to 768 Million. Fuel prices below $60 a barrel would be the sweet spot for airlines after both airlines reported a dent in profits from rising fuel bills. It looks like this sweet spot is now reached with $57.12 opening the way for new record profits for Emirates and other airlines. 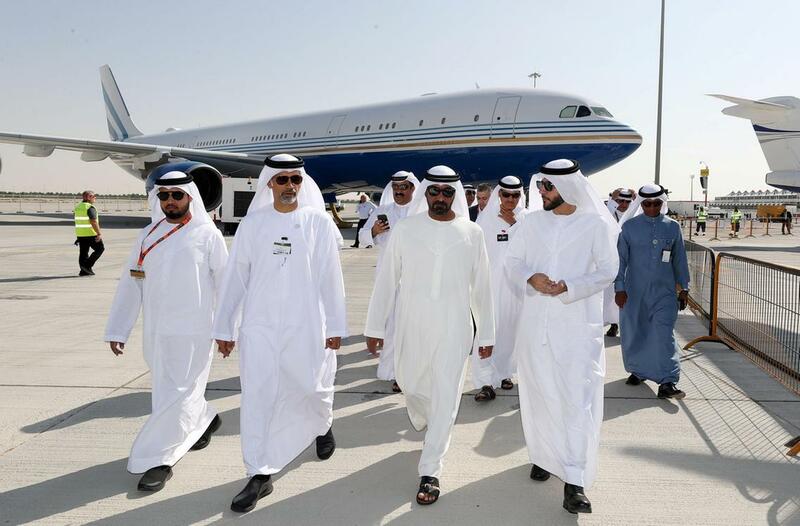 “From an airlines point of view, they want to see it below 60,” Sheikh Ahmed bin Saeed Al Maktoum said when asked about optimum fuel prices for the industry during the Middle East Business Aviation Association show (MEBAA) in Dubai on Monday. Higher oil prices are a double-edged sword for airlines regionally. In the Middle East higher crude prices have spurred demand for premium travel in a region at the heart of global oil and gas production but also inflated fuel costs that weigh on earnings. Emirates group posted a 53 per cent decline in first-half profits, while the airline’s bottom line plunged 86 per cent on the back of a bigger fuel bill and foreign-currency swings. Flydubai has said it is facing a tough year from rising oil prices. Oil prices have recovered from three-year lows to hit $80 a barrel this year but that growth has recently dropped to $58 per barrel. Emirates rebounded in its 2017 fiscal year, with the airline more than doubling its profit to Dh2.8 billion in its fiscal year ending March 31, 2018 in stark contrast to a slump the previous year. UGANDA (eTN) - The Uganda Tourism Board is preparing first-time exhibitors for World Travel Market (WTM) 2015 in London.